A thesis statement can be defined as a very brief statement of what the main point or contention of your essay or dissertation is. Essentially, you are stating what you will be writing about. However, there’s a little more to writing a good thesis statement than only this basic function. 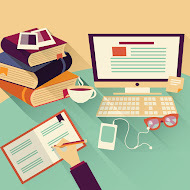 You can find an entire book on how to write a thesis statement at the Academic Coaching website, www.writeyourthesis.com. We’ll go through the basics right now so that you can see how to use a thesis statement in planning your essay. A thesis statement needs to act like a rudder that steers the massive ship (your essay or thesis) in the same direction. You can’t have an essay where you have a million tiny boats all going in different directions. This will confuse the reader, and you won’t be able to make a compelling point. Whenever you’re worried that you might be veering off course, you can just turn back to your thesis statement which will show you whether your points are all aligning with the same intention. This means that your thesis statement is that one part of your essay that ensures that the whole body of work has meaning and is coherent. Your thesis statement comes at the start of your written work, in the introduction, and it tells the rest of your essay which direction it should be going in. This helps your entire thesis or essay to make sense and for the various points you are making to all lead to one conclusion. Your thesis statement needs to be a clear, direct and succinct answer to the questions being posed in your essay topic. You don’t simply repeat the essay topic as your thesis statement, but you provide an answer to it that informs the rest of your essay. Compare the healthcare system of the US to the system in Sweden in terms of financial implications, health outcomes and public opinion. Which system is preferable for advanced democratic countries? In this essay, I will compare the healthcare systems of the US and Sweden and tell you which one I think is better. The author is not answering the question, but merely saying that at some point they will answer the question. The reader needs to know the answer right at the start of an essay, and the rest of the essay needs to offer support for that answer. In this essay, the healthcare systems of the US and Sweden will be compared, and it will ultimately be shown that the Swedish system is far preferable in advanced democratic countries since it involves drastically lower costs for individuals and it has much better health outcomes. You’ll see that the second thesis statement is much better because it actually answers the main question. Even if the student had chosen the US system, if they had given good reasons for it, and if they rest of the essay could support it, they would receive a good grade for the essay. It’s not necessarily about the answer you give, but it’s the way you support it with evidence and logic that counts. Your thesis statement is placed in the introduction of your essay, so that the reader knows exactly what your essay will be about. In a good academic essay, every single point and every paragraph will be linked to the thesis statement, and will support it with more evidence and explanation. Once you have a good, clear thesis statement, it’s like you’ve been handed a key to the puzzle, and all of the pieces have to fit around that central piece. Discuss the symbolism of the red hood in the fairy tale “Little Red Riding Hood”. This essay will show that the red hood symbolizes resilience and danger in the character of the little girl. You’ll notice the thesis statement right at the center. That’s where it belongs: it’s the one thing that each of your paragraphs needs to fit in with, and needs to support. The arrows between the thesis statement and each paragraph are pointing in both directions. This is because your thesis statement informs your paragraphs, and your paragraphs support your thesis statement; there is a reciprocal relationship, or a give-and-take bond, between the thesis statement and each of your paragraphs. 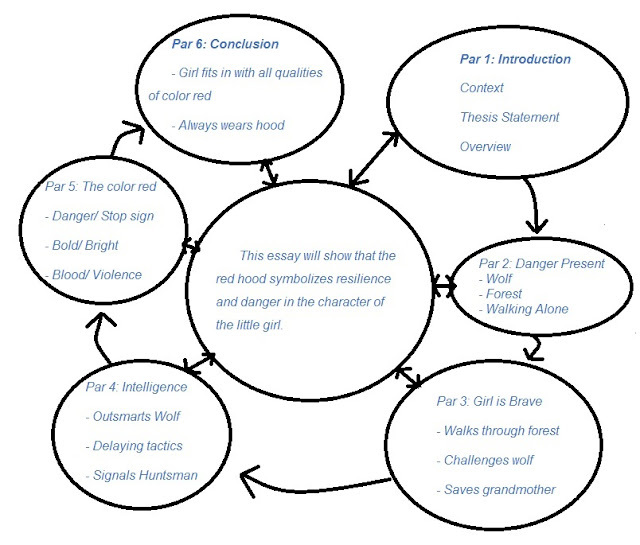 Notice how your thesis statement has helped you to plan your essay here in much more detail. You’re now ready to move on to the final part of planning.